There's nothing to eat on Mars, unless you eat rock. Topic: Gather intel in preparation for making moonshine on Mars. Afterwards, we’ll dine & discuss at Brooklyn Ice House. 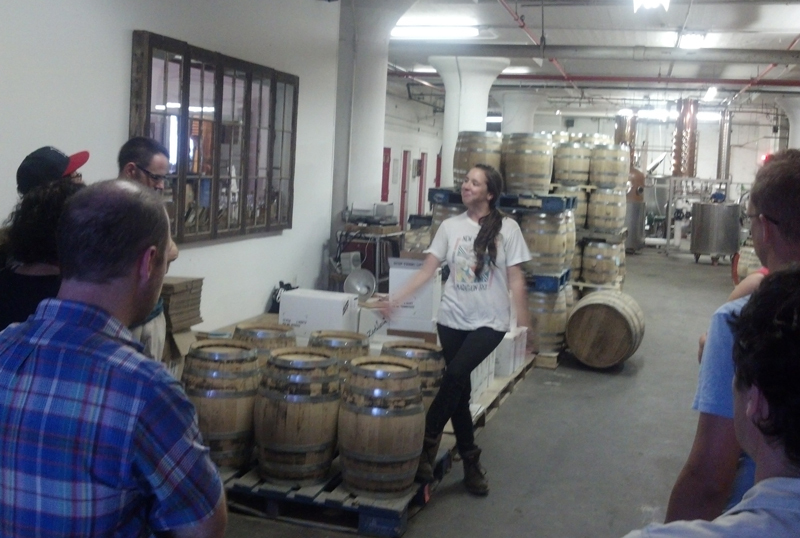 We met at Van Brunt Stillhouse to talk to some professionals. ‘Moonshine’ refers to distilled spirits which are not barrel-aged – when producing alcohol on Mars, oak barrels, etc., will be a luxury – and probably out of reach for the first colonists. 1. Anything with sugar can be used to make alcohol. Organic matter is precious and should not be wasted, so foods that don’t make it to the plate might be the most economical option – banana peels, fruit scraps, and other compostables. 2. 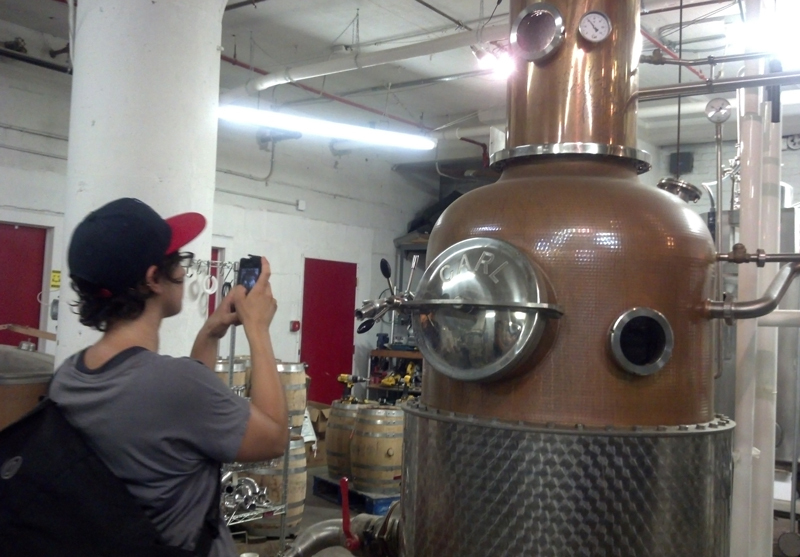 Most of the method moonshine is made on Earth will apply, however, Mars’ lower gravity (40% of Earths), will affect the process – particularly the pouring and siphoning, and separation processes. 3. 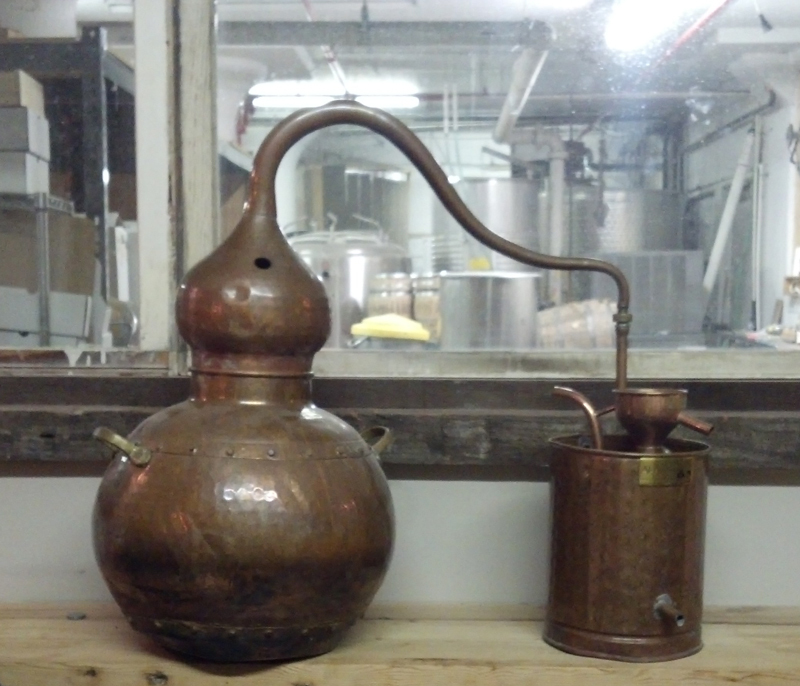 In the early years (or decades), moonshine will probably be made in small batches, see photo below. 1. COLD. On average, the temperature on Mars is about −80 degrees F (−60 degrees C). In winter near the poles temperatures can get down to −195 degrees F (−125 degrees C). A summer day on Mars may get up to 70 degrees F (20 degrees C) near the equator, but at night the temperature can plummet to about −100 degrees F (−73 C). By comparison, Earth averages about 59 degrees F (15°C) and the lowest temperature ever recorded on Earth was −128.56 F (−89.2 C), in Antarctica. On Mars, your blood will boil if you go outside without a pressurized spacesuit. Habitable structures on Mars would need to be pressurized like spacecraft. 3. TOXIC AIR, E.G. CARBON DIOXIDE. Martian air has a partial pressure of CO2 of 7.1 mbar, compared to .31 mbar on Earth. CO2 poisoning in humans begins at about 1 mbar. For plants, CO2 much above 1.5 mbar is toxic. Martian air is completely toxic to both plants and animals. 4. LESS SUNLIGHT BUT MORE UV RADIATION. Less sunlight (further from the sun) but due to the relative lack of a magnetosphere and the thin atmosphere, Mars has extreme amounts of ultraviolet radiation. 6. GRAVITY. 38% of Earth’s gravity. It is not known if Martian gravity would have similar health effects such as muscle loss and bone demineralization found in the microgravity of near-earth orbit, nor is much known what effects 38% gravity would have on growing food. 7. SEASONS. Mars has an axial tilt of 25.19°, similar to Earth’s 23.44°. As a result, Mars has season much like Earth, though they last nearly twice as long because the Martian year is about 1.88 Earth years. 8. DISTANCE. It takes 128-333 days to get to Mars from Earth, communication transmissions are delayed 3-22 minutes. 9. DUST. Toxic, tiny, clings to everything electrostatically, likely to be an issue with air filters, water purifiers, etc. Mars also has enormous dust storms. 1. Living spaces entirely within a sealed, spaceship-like environment, including any greenhouses. 3. Food from earth is highly preserved, packaged for 5 year shelf life. Shipments might only arrive once every few months. Missions to Mars have taken 128-333 days in transit. 4. Fresh food is limited. Greenhouse growing an untested challenge, many unknowns in terms of growing season, light, gravitational effect. Can some crops not often traditionally eaten on Earth grow well on Mars, such as algae, fungus, insects? What about preserving grown food? 5. Persistent dust. Would it have a flavor or texture effect? 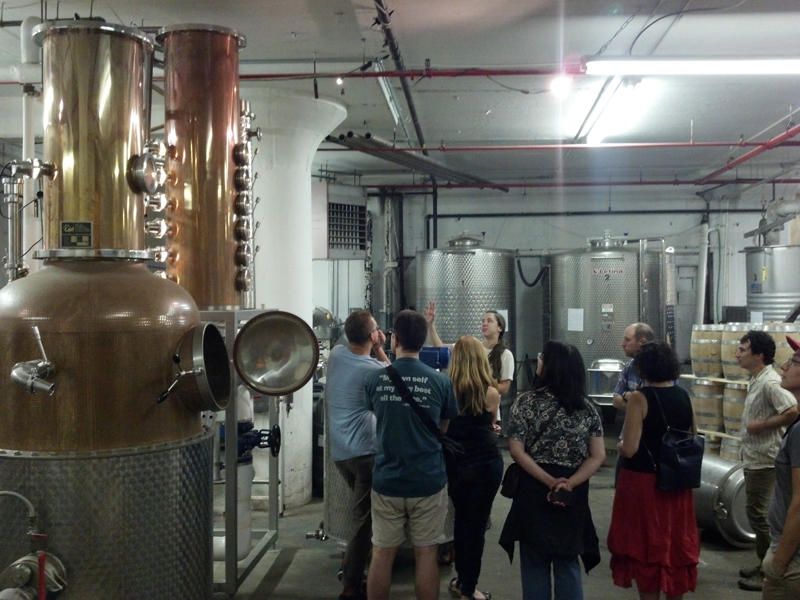 The kitchen will be open to the public at The Boiler from May 29th through June 20th. Our pantry is stocked with dried, powdered, thermostabilized, and dehydrated Mars-feasible ingredients. Visitors are welcome to try their hand at cooking for Mars. The Menu for Mars Supper Club is a Flux Factory educational initiative, and is organized by Heidi Neilson and Douglas Paulson. Over the last year, the Menu for Mars Supper Club met monthly with guest experts over dinner to consider how the circumstances on Mars would affect colonists’ food—and their physical, cultural, and psychological needs. The Menu for Mars Kitchen culminates these discussions and related research.